NE corner of Fruitville and N. Cattlemen Rd. Just like our meats, our parking is abundant! Please call us at 941-260-8445 to discuss your catering needs. Rodizio Grill is an authentic Brazilian Steakhouse located in Sarasota, FL. It was founded by Ivan Utrera, who brought family recipes from Brazil and began this award winning concept. Our exciting atmosphere and delicious unlimited and abundant Brazilian fare will have your party believing they are in Southern Brazil. Rodizio Grill is 95% gluten free and offers over a dozen rotisserie grilled meats, perfectly seasoned and carved tableside by Brazilian Gauchos. 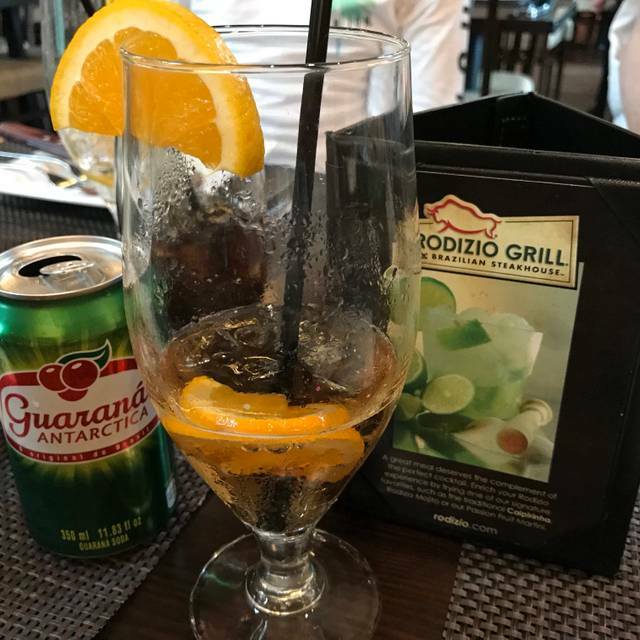 Authentic Brazilian sides, salads, homemade desserts and our very own made-to-order Rodizio Limeades make this an unforgettable dining experience! We can accommodate large parties up to 240 and semi-private parties up to 112. Please call to book large parties of 20 or more. Everything at Rodizio Grill is homemade...It is the Brazilian Way! Celebrate Easter with special menu items including premium salad bar features and a carving station serving ham and leg of lamb. Mimosa specials available. Full Rodizio Easter Dinner - $39.99 per person (all day), Salad Bar Only - $29.99 per person, Children's Meal (Ages 3 - 11) - $13.99. Food was great! Atmosphere was fun! Staff was friendly and attentive! Even though it was close to closing, they didn't try to rush us and asked if we had any special requests! Great gluten-free options, everything was delicious and well-prepared. I have been to several Brazilian Steakhouses and this has the best service of any of them. They were quick to the table constantly and the variety that they were serving was great. The yellow beef (pineapple) was great, always love it when it is served. The wait staff were attentive and ready to refill drinks when they ran low. Can't wait to go back. Outside of that, GREAT flavor of the food, including the salads, sides, and sauces available. Didn't eat from the hot bar because I knew there was MEAT coming! 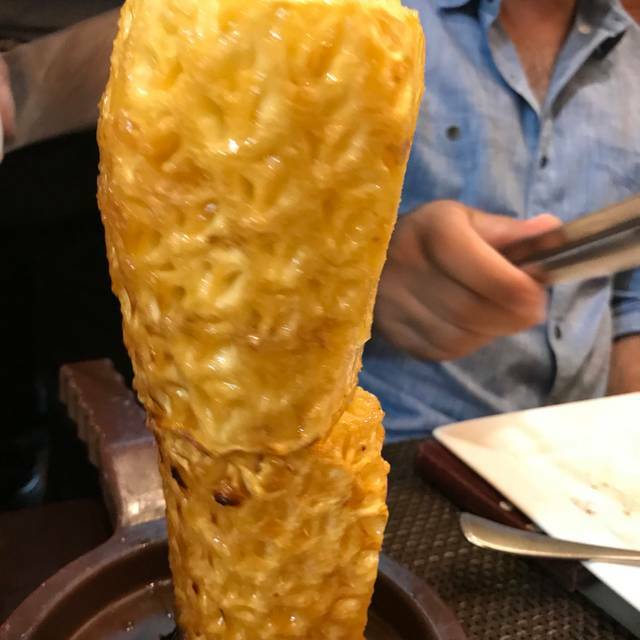 And it kept coming and coming.....my boyfriend's first time there and also his first time at this type of restaurant and he didn't know what to expect! We had excellent service from Vanessa, so we would request her again when we return - and yes, we will be back! I'd say there was only a small negative, and that was the noise level. They bang on drums and sing happy birthday quite a bit around there, so be prepared not to be able to hear your server or your dining companions during the 30-seconds this is taking place. Other than that, the volume is acceptable. The topper of the evening was the house made dessert tray. I'm a gluten-free diner, so when Vanessa presented the gluten-free chocolate cake, it was all over for me, because I was going to decline dessert until THAT! My boyfriend and I shared it. Sooooo good! We took a party of 10 here last weekend for my daughter's birthday dinner. We were beyond happy! The food is delicious and the service was top notch. They brought out a wonderful dessert and the staff sang to my daughter and really made the night special for her. We will definitely be back and have recommended the restaurant to so many people!! This was our first visit to the restaurant and surely not our last. Every single person on staff was pleasant and wanting to help. our second visit here and we have enjoyed it both times. The salad bar is awesome and the variety of meats is very nice. Everything tastes very good and the grilled pineapple is the best ever!! We had a great experience with a new waitress. She was well trained and brightened the experience. Food was prepared properly and was served hot. The tempo of the meat servers was extremely fast. They were incredibly accommodating to my dietary needs. Very impressed with the service and the food. It's a fun experience. The food is pretty good. It isn't quite up to par with Texas de Brazil, but since we don't have one of those around it'll do. Experience ok to try - but VERY over priced. Very noisy & tables too close together. Surver was excellent & very helpful. Food was prepared perfectly! Not a disappointing course in the whole place! The bartender was both knowledgeable and entertaining and the waitstaff was very attentive. We will be returning! Worth every cent! Enjoyed very much! Excellent salad and side bars! First time there and definitely won’t have lunch before the next time! Tons of food! A nice upscale restaurant that was full but not crowded on Saturday night at 7:30. Servers were everywhere and eager to have you taste whatever was on their skewer. If you haven’t been to Brazilian steakhouse it’s an experience. Plenty of food. Nice Staff. Reasonable prices for quality and quantity of food served. Wait staff needs to pay more attention to details of wants and needs . Maybe not enough staff . Great salad bar . meats to my taste were over cooked and dried out . 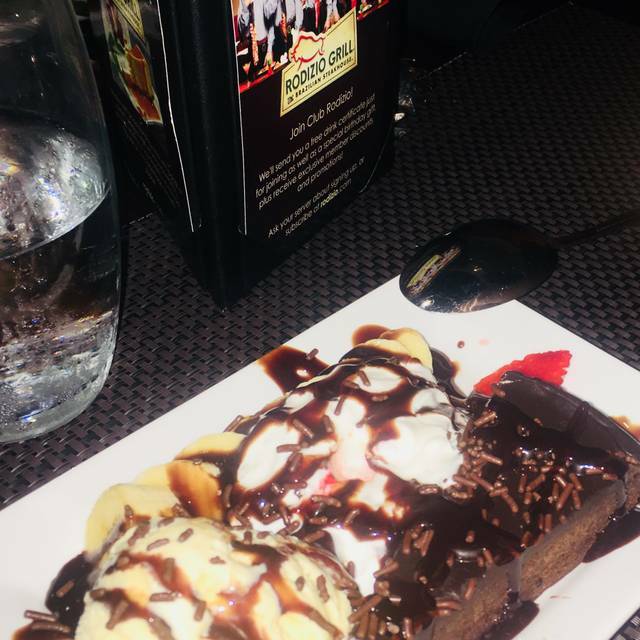 Deserts outstanding and recommend getting many and sharing . Sharing plates and utensils came well after deserts. As we eat out most days / nights staffing seem to be a problem for most restaurants especially during season . Must be frustrating for managers and ownership. Birthday. Good food and atmosphere. Ribs were dry but everything else was good. Great food and service, well be back. Ramon is the best! All of your servers do a great job, but he is outstanding at what he does. The place is always clean and inviting. I appreciate the coupons that you send through email and I look forward to my next visit. Im thinking of coming back again in the next few days. It was our first time to visit Rodizio Grill. The salad bar is awesome, so much to choose from. We really didn't too many sides as there is a lot of food, but what we had was very tasty. Now that we have been there, I feel I will be better prepared for the next visit. I say this because we forgot to get sauces for the meats, which are located at the salad bar. There are some meats that were much better than other, now that is just a personal preference. The grilled ham, grilled pineapple, the bacon wrapped chicken, the sausage and the parmesan pork were our favorites. Great place, the service is fast. You won't be waiting around for the meat to come, they keep it coming for sure! Really clean as well. I absolutely love this place. The food is outstanding and the Brazillian steak house environment is fun! I have returned many times bringing all of my family and friends! It's just soooo yummy! Great service, clean, and food was very good. Make sure you come with a hungry group. We really were looking forward to all of the St. Paddy’s day food, the corned beef, cabbage, etc. along with all of the Brazilian selection. Sadly, the corned beef was tough and the cooked cabbage was pretty raw. So, we stuck with our favorites from the regular offerings. Gabi, our server was stellar. 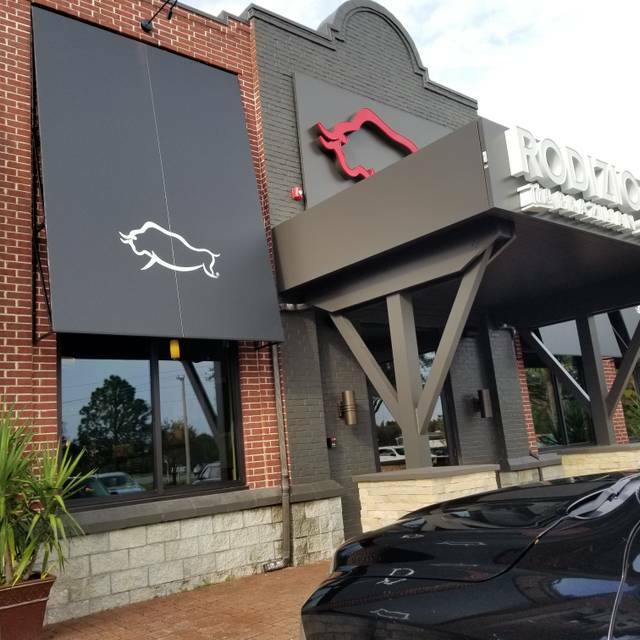 One of the most attentive staff and service we’ve experienced, and we usually visit Rodizio once a month. I did enjoy my green beer, and the gauchos did an excellent job, making sure we had our favorites. Plan to be back in April for hubby’s birthday! The food is sooooo good I highly recommend the top sirloin, ham and pineapple. Everything else was good too but those are my top 3. I'm not real wild about birthday drums but if you like loud birthday party moments you'll be fine. I think everyone should go at least once!!! The quality of the meet was very poor, cold, overcooked and dry and the "Gauchos" kept coming back with Sausages, Pineaple, Ham but not with beef or lamm. Had to ask several time to get some beef and lamm. This is far from the Brazilian original!!! 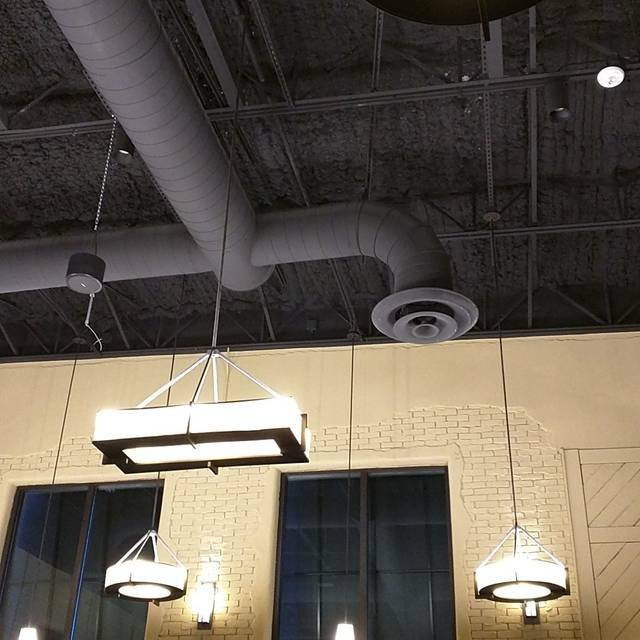 It was like eating in a warehouse, very noisy and the meat was dried out with a lot of gristle. Great service, food is fantastic. It's pricey, but you'll definitely get your money's worth if you're a big eater. Food and presentation are all excellent. We love coming to this restaurant. The service staff is friendly and cooperative. They are always willing to please the guest. Food is always on point and tasty. On this visit, I rated a bit lower for service and quality due to the time it took to get my coffee. Additionally my dessert was not aesthetically pleasing. The ice cream was melted and the whip cream was melted too. looked not good. It tasted great. Just looked not so good. Bad presentation. Otherwise, another successful restaurant visit. The meat was excellent, black beans were really good as was the roasted garlic. I was a little disappointed in a lot of the items on the salad bar and other condiments because they tasted like they came right out of a can or jar. I am gluten free and was pleased to see signs listing gf items.